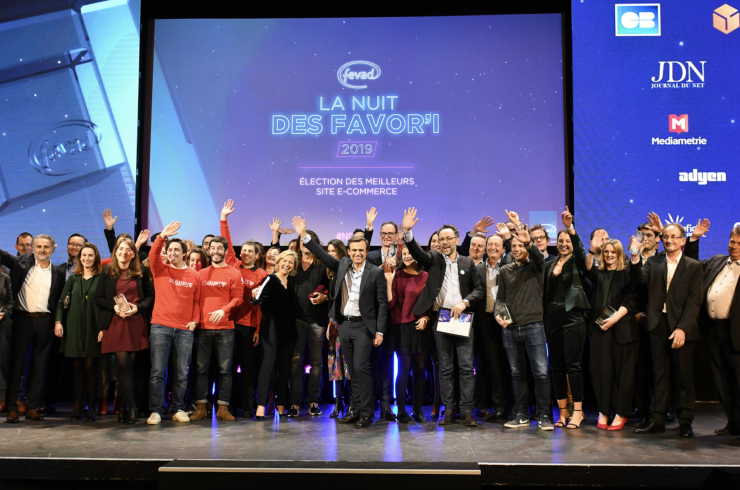 On November 11th, the FEVAD organization launched the twelfth « Nuit des Favor’i du e-commerce “. The ceremony was presented by Emmanuelle Prache, founder of Prach Media Event and David Abiker, a journalist for Europe 1. 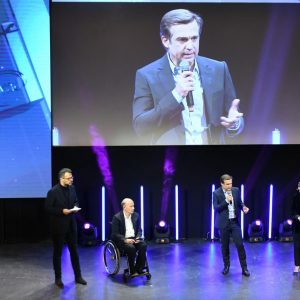 Every year, the FEVAD organization chooses to award the “Favor’i du Meilleur Espoir” to the startup with the most innovative and valuable project. After Back Market in 2017, who are the winners this year ? Organized by the FEVAD and dedicated to e-retailers only, the ceremony presents awards that will bring media visibility, an endowment and give “a spotlight” on some companies in front of the entire profession. 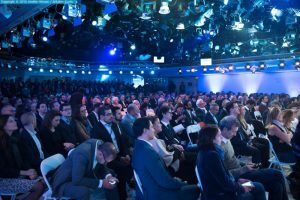 Thus, 600 decision makers were present to attend the presentation of the nine prestigious awards (seven of them were awarded by internet users via a Médiamétrie survey and two by the 2018 Grand Jury). Five criteria were evaluated: product selection, site operation, quality, price ratio, CSR and customers service. , Emmanuel Grenier, CEO of Cdiscount, Philippe Laulanie, Managing Director of CB, Michel-Edouard Leclerc, President of E.Leclerc, Marc Lolivier, Managing Director of FEVAD, Xavier Mallet, Managing Director of Colissimo, Olivier Mathiot, CEO of Rakuten, François Momboisse, President of FEVAD, Karine Schrenzel, Founder of ShopInvest, Amandine de Souza, Director of BHV Marais and Julie Walbaum, General Director, Maison du Monde, etc. As Mr. François Momboisse and Mr. Marc Lolivier pointed out, this ceremony was placed under a real envy to reward « companies that innovate for their customers’ expertise services ». 37 million French people are purchasing on the internet, this is a fact that need to be taken into account for retailers. Nowadays for a company to grow and develop, it is essential to establish “a social and an economic pact with its consumers”. Customers are more and more aware and intelligent: they now want to buy « responsible and ethical » products. In 2019, data and tech will be essential. For the award of the Favor’i d’innovation (innovation): Cdiscount with its new delivery service «On demand». Launched in June 2018, it operates via two-step delivery logistics, first from the warehouse to a Pick Up automated delivery, then from the home delivery, either within a time slot agreed by the customer or within 30 minutes of the order, by Stuart. For the award of the Favor’i du Meilleur Espoir (best hope): Pandacraft, a startup that designs, manufactures and sells educational (weekly) subscriptions for children, on paper or digital media. Epicery, a marketplace that connects neighborhood merchants to Internet users, won the silver and Les Grappes, online sale B2C won from producers, got the 3rd place. Regarding the award Favor’i Super-Hypermarché & Drive (supermarkets, hypermarket, and drive): E.Leclerc Drive was chosen by Internet users. Auchant.fr won silver and Chronodrive bronze. For the award of the Favor’i Produits Culturels (cultural products): Cultura won the first prize followed by Fnac and Rakuten. For the award of Favor’i de la mode (fashion): Asos won for the second consecutive year. Lisa Marcais (Director of the French market for Asos) reiterated in her speech that “the requirement of the VAS was essential to the understanding of the customer” and that data was the key to their success for the millennial customers. Kiabi and Zalando won the second and third awards. This award is the first award that evening, who was been awarded by Internet users who have already ordered from the various sites evaluated; based on a survey conducted by Médiametrie. For the award of the Favor’i technique et éléctroménager (home appliance): Amazon won first prize, followed by Apple for silver and E.Leclerc for bronze. For the award of the Favor’i réservation séjours & hébergement (stay and hotels booking websites): Booking.com, a platform for connecting travelers with accommodation has outdone AccorHotels (2) and Campanile (3). For the award of the Favor’i catégorie Meuble & Décoration (Home Decor and furniture) : Leroy Merlin won gold followed by Ikea and Maison du monde. For the award of the Favor’i des ventes Interprofessionnelles B2B : Maxiburo, a startup of office supplies won the first prize, bernard.fr came second, followed by the company Téréva Direct. And for the most awaited award the Grand Prix des Favor’i (biggest prices of the night) Asos won. Nicola Thompson (Global Trade Director) and Lisa Marçais (Director of the France Market) were both present to receive the award. The site scored 15,87/20 according to Internet users, who assigned ratings of 15,83/20 to Amazon (2) and 15,76/20 to Cultura (3). According to the quarterly study report of FEVAD, the turnover of online sales in France increased by 15,4% in the third quarter of 2018 over one year. This growth was 14,4% in Q2 2018 and 13% in Q1 2018. Over 370 million transactions recorded, an increase of 24.5% over one year. 24,000 additional merchant sites over one year (+14%). French e-commerce now has 194,000 websites. Purchases increase by 20% over one year. On average, a buyer makes 11.8 transactions per quarter on the internet, one purchase every eight days. An average amount per transaction decreased to 60 euros (-7,3% over one year). Online sales reached 22 billion euros in the second quarter of 2018, according to the FEVAD. Perceptives for 2019 are good, according to various forecasts (ref. Xerfi) BtoC e-commerce will reach a total of 130 billion euros of turnover in 2021. FEVAD is the federation of e-commerce and distance selling; a non-profit association whose purpose is to support the ethical and sustainable development of electronic commerce in France. Regular readings of published reports offer real market visibility for retail and e-commerce startups. The distinctions the organization awards each year are well know in the business, and offer a strong credibility. As a bearer of real media visibility and recognition, this competition deserves to inform itself on the modalities and to apply. The e-commerce market still looks very promising for the coming years (130 billion by 2021), the turnover of online sales in France continues to grow. The FEVAD reports that this evolution is linked to the increasingly strong recognition that brands give to the study of their customers. E-retailers do not have to worry about the future of online sales.